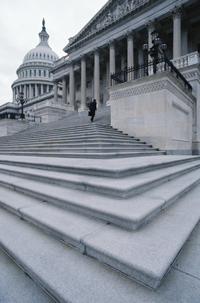 Federal Government - ideal System Solutions, Inc.ideal System Solutions, Inc.
For fast and convenient purchasing, please visit our custom government online store! Since 1997, Ideal System Solutions, Inc. (Ideal) has provided Government Agencies with real-world technology solutions. Our customer-centric approach allows us to understand your acquisitions and how technology supports your mission. Our dedicated government sales team understands the government procurement process and unique buying cycles. By offering multiple purchasing contract vehicles, including our direct GSA Schedule 70 contract and our NITAAC CIO-CS “IT Everything” contract, you can quickly and easily purchase leading-edge technology manufacturer products at competitive pricing. As a small, HUBZone, Woman and Minority-Owned (EDWOSB) business, Ideal can help ease the process of acquiring multiple bids by sole source contracting utilizing our diversity designation, or helping you achieve your small business subcontracting goals. With offices in Minnesota, Northern Minnesota, New Mexico and Maryland, our trained professional services teams are readily available to service our Government customers nationwide.